The thunder roared and crashed about them — but Nurse Lynn Lawrence felt that the wildness of the storm was rivaled by the frantic racing of her own thoughts. She cast a glance at her fiance, Greg Avery. Beside him, huddled helplessly, was the pretty Dawn Evans. 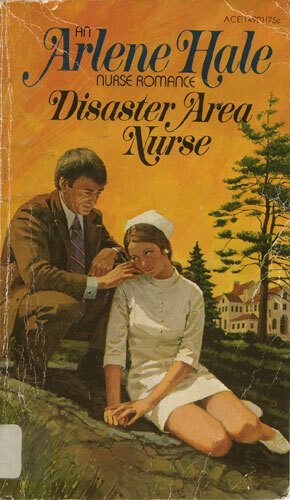 There was no doubt that Greg was paying a great deal of attention to comforting Dawn — too much, Lynn thought. But there was another in the group of flood-marooned strangers. He was handsome, and smiled at Lynn in a way that sent her heart fluttering. Surely things would right themselves once they got back to civilization. But in a disaster like this, a short time could lead to a broken-hearted eternity.